Daniel Müller Jansen (*1978 Düren, Germany) is a Berlin-based artist and photographer. He studied photography and design at University of the Arts Bremen under Prof. Peter Bialobrzeski, Wolfgang Zurborn and Prof. Michael Glasmeier. 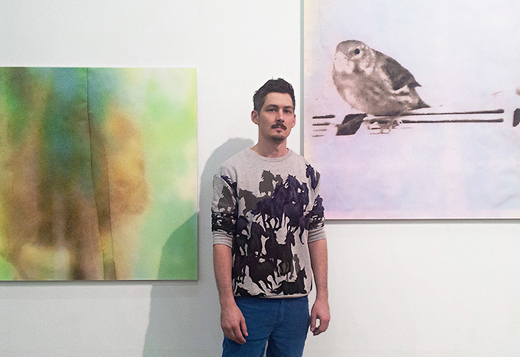 Müller Jansen absolved an internship at the GEO magazine in Hamburg during his studies and was supported by the Professionals in the Arts founder lab at the University of the Arts Bremen after his diploma in 2009. His works and installations have been shown at national and international exhibitions like Kunstmuseum Bochum, DAM – Deutsches Architekturmuseum in Frankfurt, Städtische Galerie Bremen, Museum of Estonian Architecture in Tallinn and photo festivals like F/STOP Photo Festival Leipzig, Photomeetings Luxembourg and the London Festival of Photography. Daniel Müller Jansen was elected Best Portfolio 2010 at House of Photography, Deichtorhallen in Hamburg. In 2019, his series Becoming One was highly commended at the European Architectural Photography Prize, where he had already received two commendations before. His works are included in collections and institutions like the University Bremen, Focke Museum Bremen, DAM – Deutsches Architekturmuseum in Frankfurt, Art Collection Emschergenossenschaft, Städtische Galerie Bremen and others. 2015 | PIN UP !